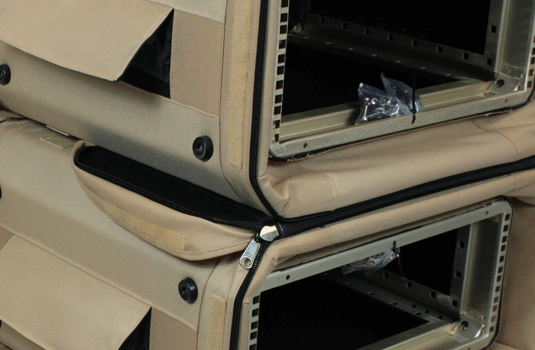 This product can be custom built to order, even for one-offs, to meet the most exacting design requirements. 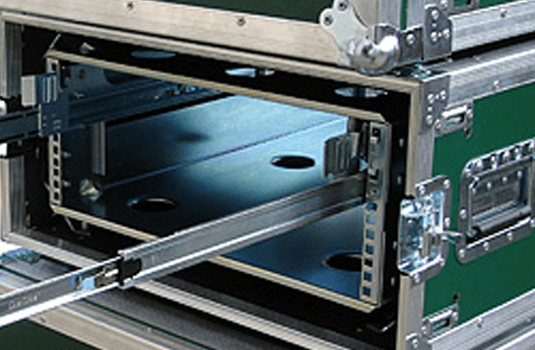 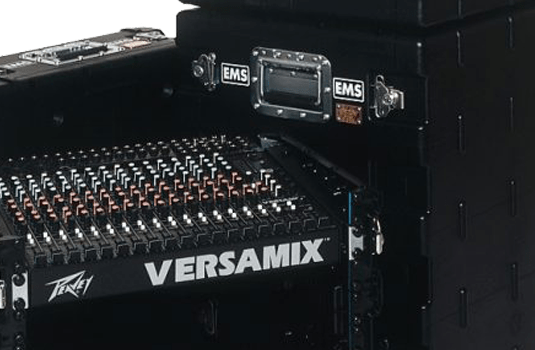 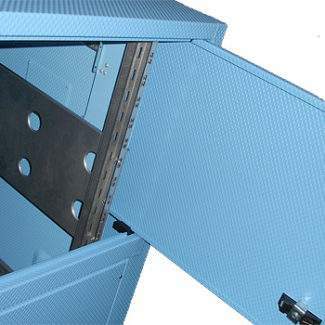 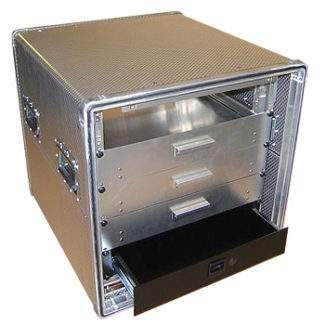 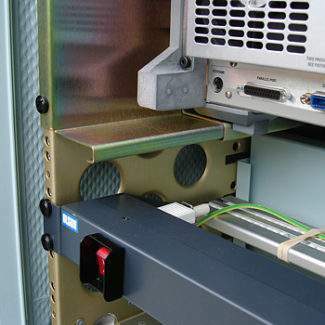 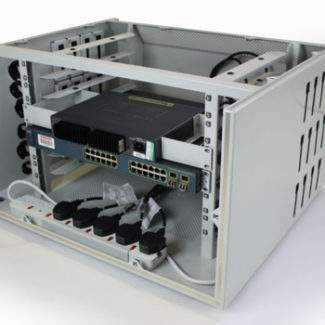 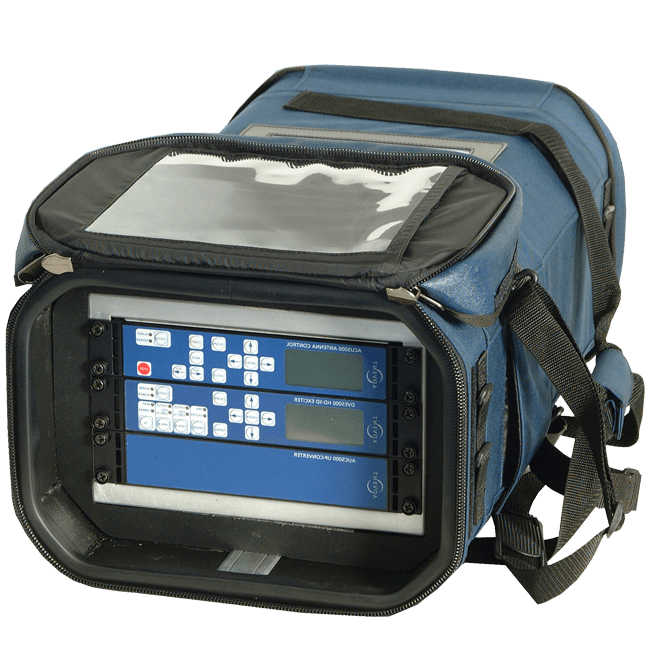 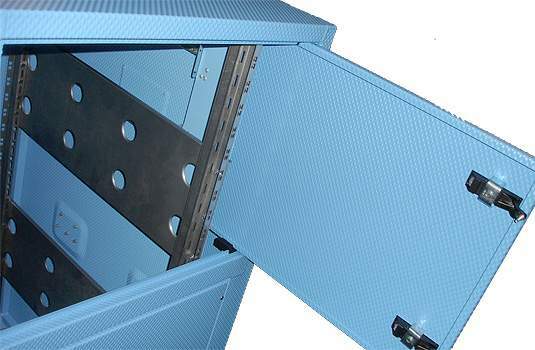 Should you feel that one of our current 19-inch rack mount cases does not meet your specific applications then please contact us via the email link above! 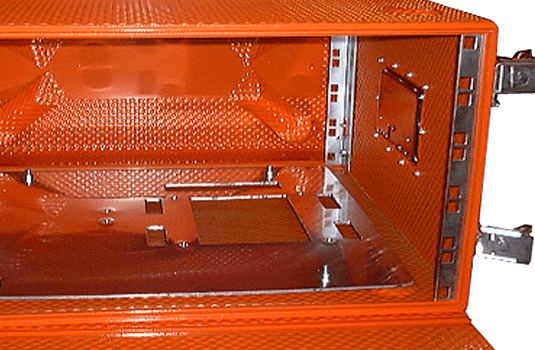 Our designers and engineers are especially skilled at producing innovative solutions to customer problems. 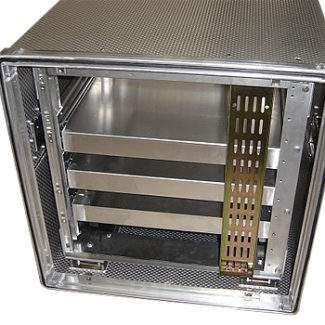 We will look at creating a special 19-inch rack for your application. 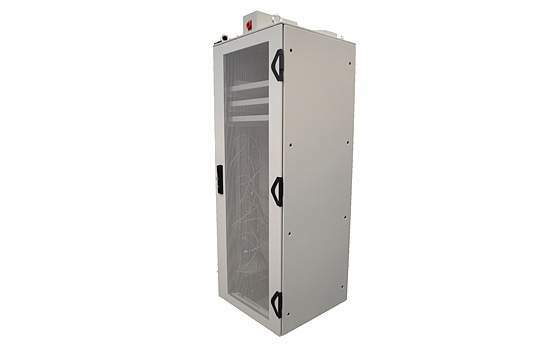 If you are looking for special items such as TEMPEST, EMC or Air Conditioning then please contact us directly. 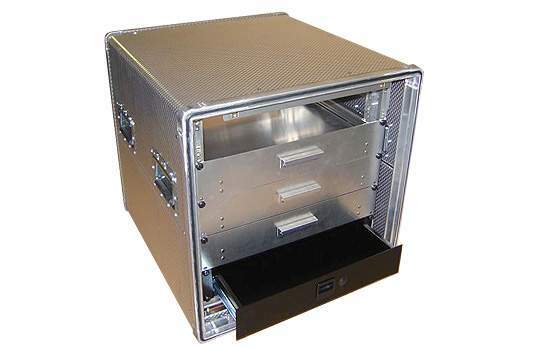 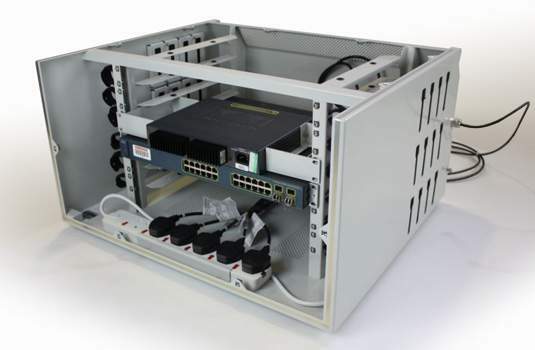 View our complete range of 19″ racks. 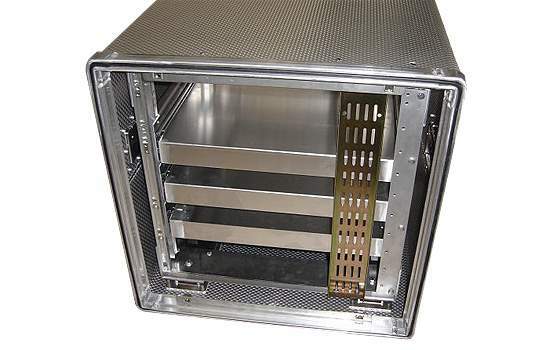 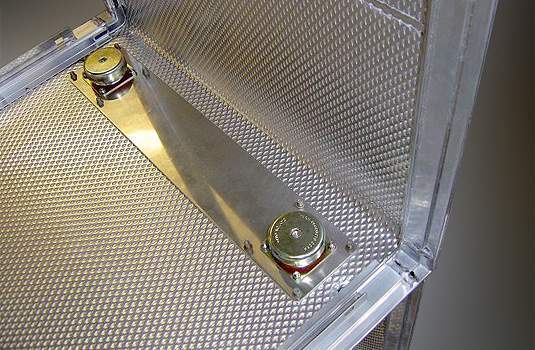 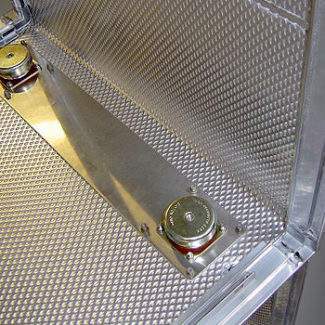 Ruggedised, Aluminium E-Rack fitted with a compressor air conditioning system. 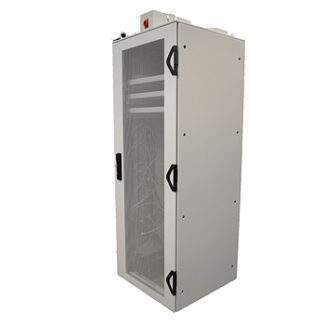 New Thermoelectric systems are available. 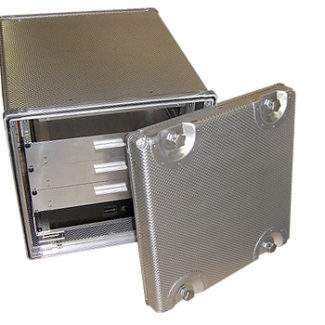 Ultra lightweight SatRack with satellite uplink equipment fitted. 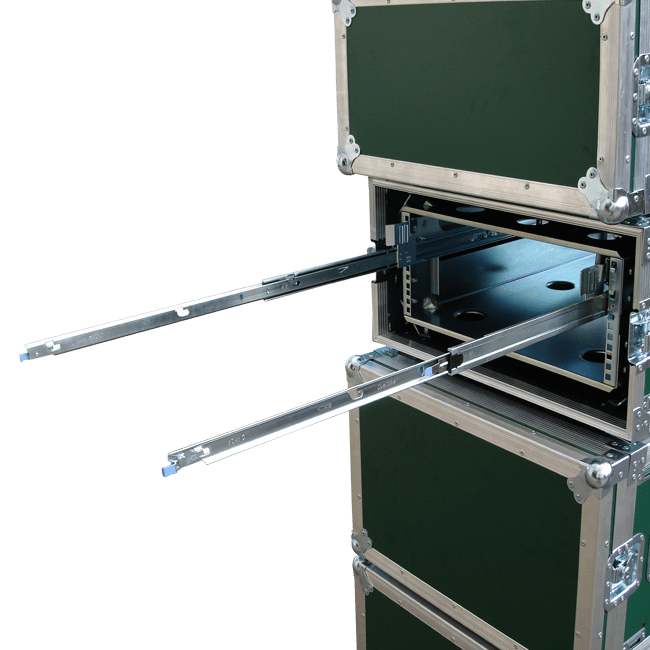 The largest SatRack weighs less than 9kg. 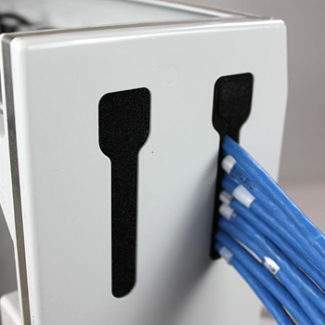 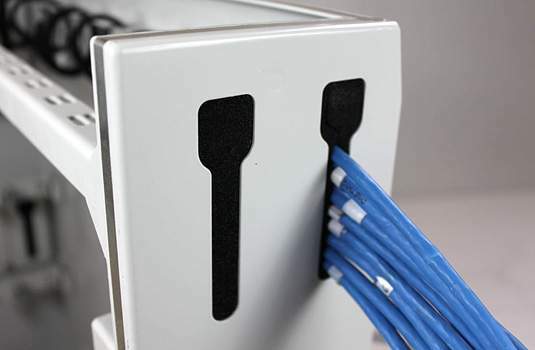 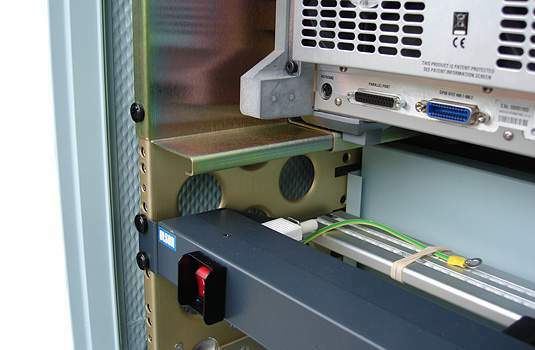 ProRacks linked together with telescopic HP server rails. 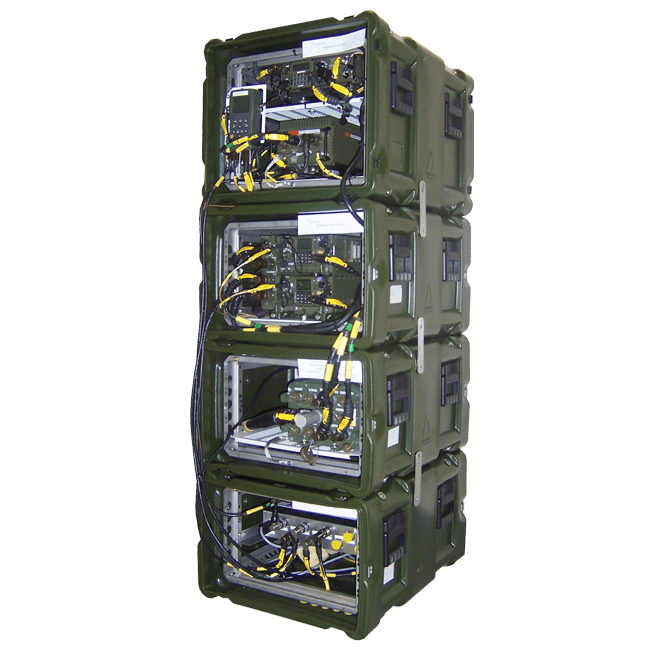 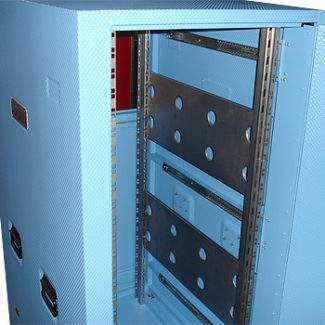 Vibration mounted Amazon Racks with linking straps for sensitive helicopter equipment. 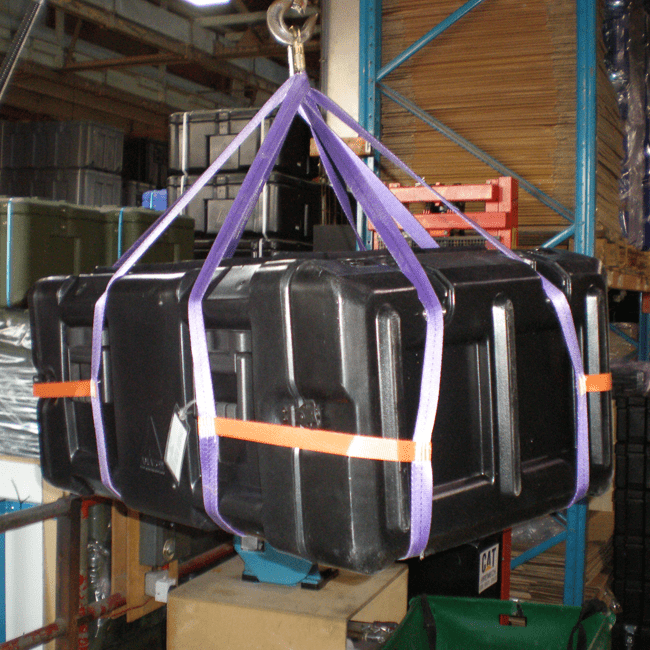 Amazon Rack with transport harness. 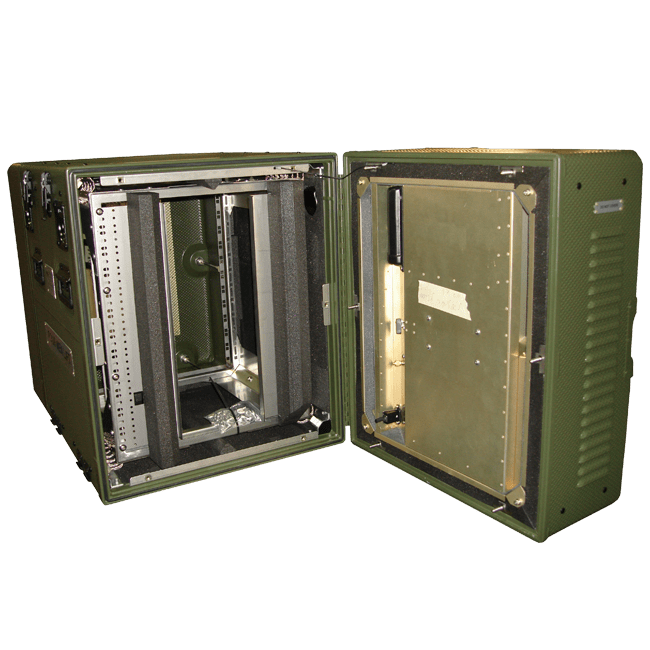 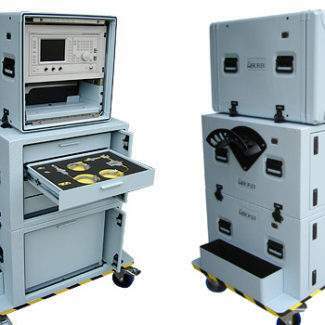 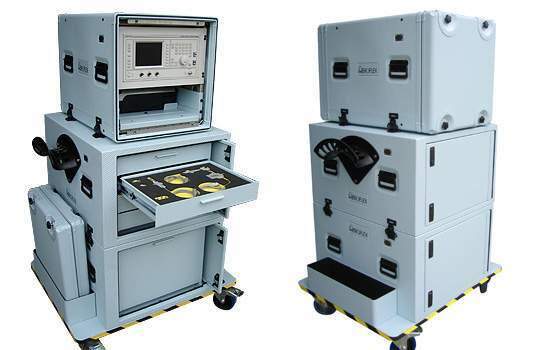 Modified ERack in a modular format containing test equipment and adaptors for vital support to the RAF. 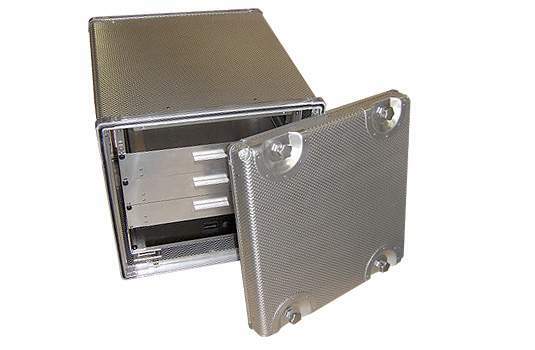 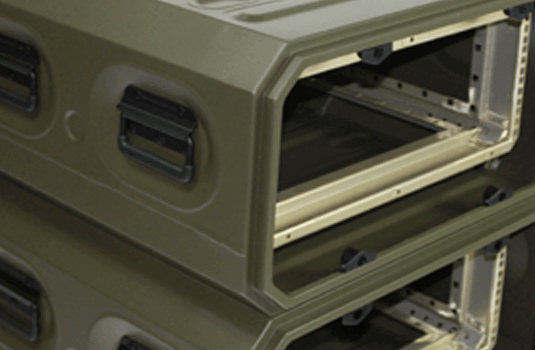 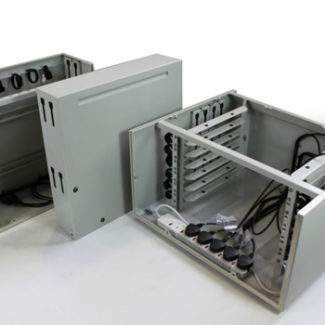 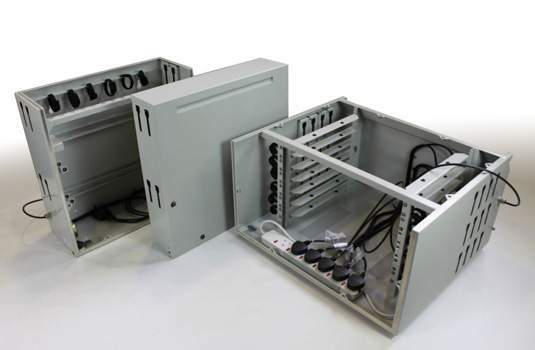 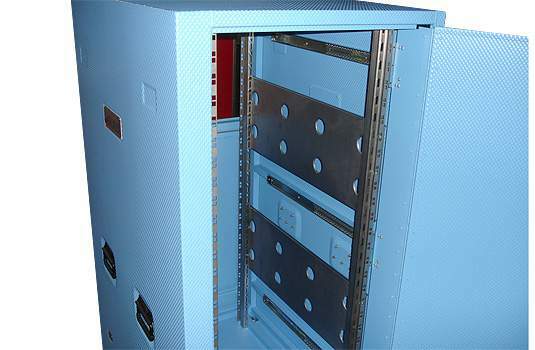 CP Cases supplied more than 1200 custom-designed rackmount enclosures and more than 4000 adaptors to the two new Queen Elizabeth Class aircraft carriers.